Danny & Donna are Getting Married and YOU’RE INVITED! You’re invited to witness the wildest wedding the nutmeg state has ever seen and all for the benefit of the Charlotte Hungerford Hospital! Aspen Productions will proudly present Torrington, CT (May 2015) – Want to go to a wedding without having to buy the couple a wedding gift? The Charlotte Hungerford Hospital (CHH) is offering the ultimate in dining and entertainment. They proudly announce the hit comedy production, For Better & For Worse Comedy Wedding, on Saturday, June 13, 2015 at the Torrington Country Club. Doors open at 6:30 p.m. Tickets are $60 per person. The sit down dinner will be chicken saltimbocca and a cash bar. For more information and to purchase tickets contact Susan Cook at 860-482-4456, Colleen Platt at 860-459-5116, Barbara Gleason at 860-489-7145 or Lindsay Miller at 860-567-9500. 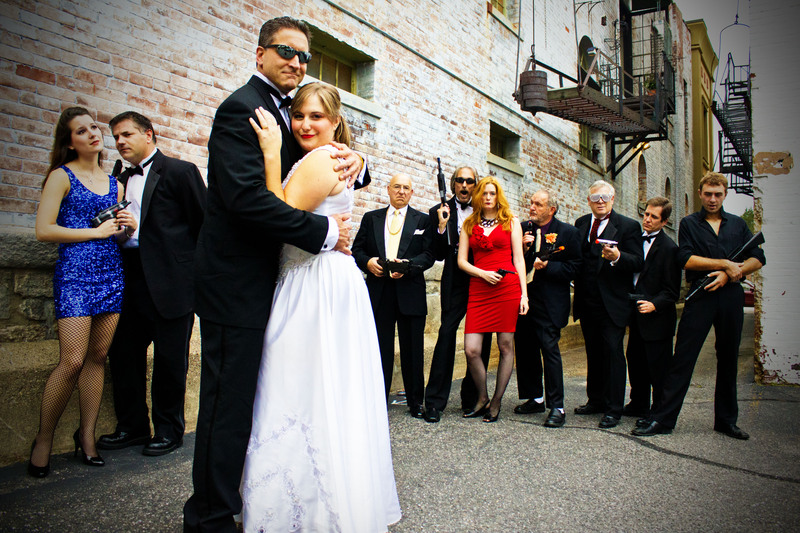 For Better & For Worse Comedy Wedding is a hilarious interactive dinner theatre presentation. The show is produced by AspenDream Productions of Burlington, CT. For Better & For Worse Comedy Wedding was written, produced, and directed by Executive Director, Janice Luise-Lutkus, a native of Torrington. “The fun begins immediately entering the room and never stops from there. It’s a complete night of entertainment. “You’ll dance, dine, and be delighted.” said, Luise-Lutkus. “We are thrilled to do this fundraiser in my home town and to raise funds for such a worthy cause.” Named the longest running dinner theater company in Connecticut, AspenDream Productions™ is now in its eighteenth year. AspenDream Production shows and murder mysteries have appeared in 72 cities throughout New England, performed for over 12,000 guests, and raised half a million dollars for charities. My Mother Threw Mine Away II: Expansion in Torrington!